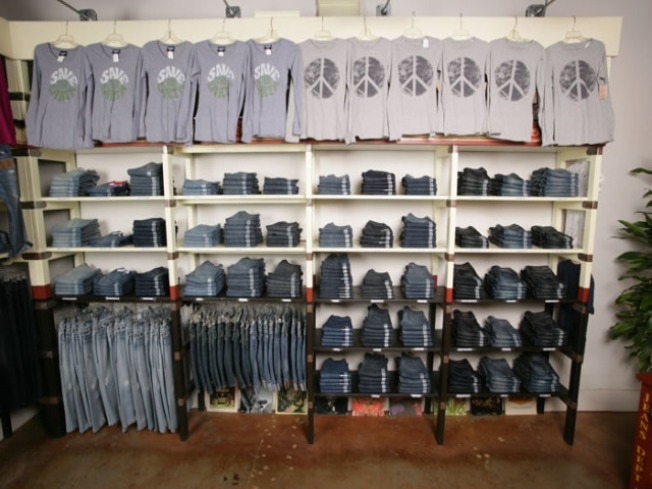 Unisex denim shop Tupelo Honey is having a sale with all jeans marked down 25 percent off. From skinnys to boyfriends to colored pairs and distressed, this season there’s plenty of options when it comes to denim. The only problem is you want them all and can’t afford it. That is unless you make it out to Tupelo Honey boutique before November 1st. The 30-year-old unisex shop is having a mega sale with all jean brands marked down 25 percent off. “We are having the sale as a way to thank our customers,” said co owner Gail Blum. Find brands at the shop like A.G. Jeans, 7 For All Mankind, Citizens of Humanity, Paige Premium Denim, Joe's Jeans, Rich and Skinny and 1921. Jeans at the store retail between $150 to $225. Blum said when it comes to fitting customers, she’s an expert. Also find tees, shirts, belts, dresses and flip flops at the shop. Labels like James Perse, Lacoste, Splendid and Michael Stars are best sellers. Tupelo Honey is located at the Falls Shopping Center and The Shoppes at The Waterways in Aventura.